Question: How can I add a description to an object. Preferably being able to shows this on top of the object, as an overlay. And that the description can be toggled to show/hide. This background info does not add extra explanation to the question being asked, but I wanted to share when the question arose. I'm modelling something to print with FDM. I wish to print without supports if possible. On some object I have used the boolean operation on a pipe. 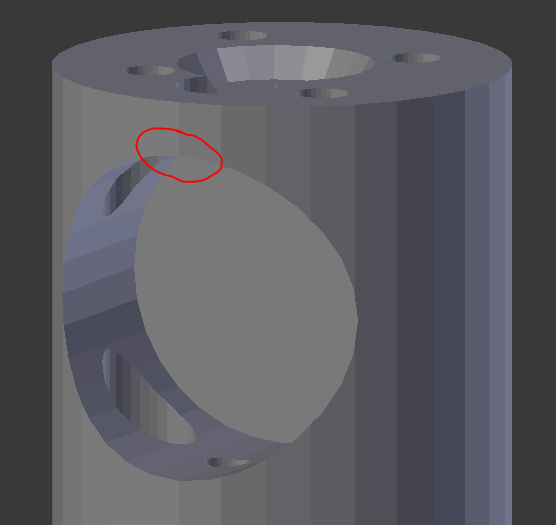 The problem is, the printing on the top of the hole where the pipe will fit isn't printed very well. This makes the hole just a bit too tight. So I stretched the hole for the pipe very little. This you can not see easily in the model. Hence I would like to add a description on the object, stating it is adjusted for 3D FDM printing. Preferably the text shows as an overlay on the object. Is there a low level alternative for bpy.ops.object.convert()? How to create a claw out of this mesh?